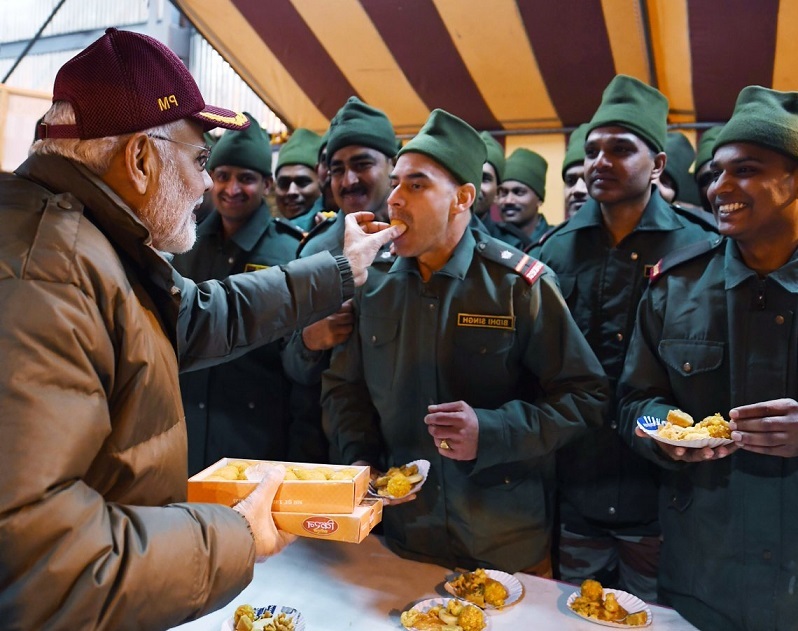 Prime Minister Narendra Modi on Wednesday celebrated the festival with jawans of the Indian Army and Indo-Tibetan Border Police personnel at Harsil village in Uttarakhand. 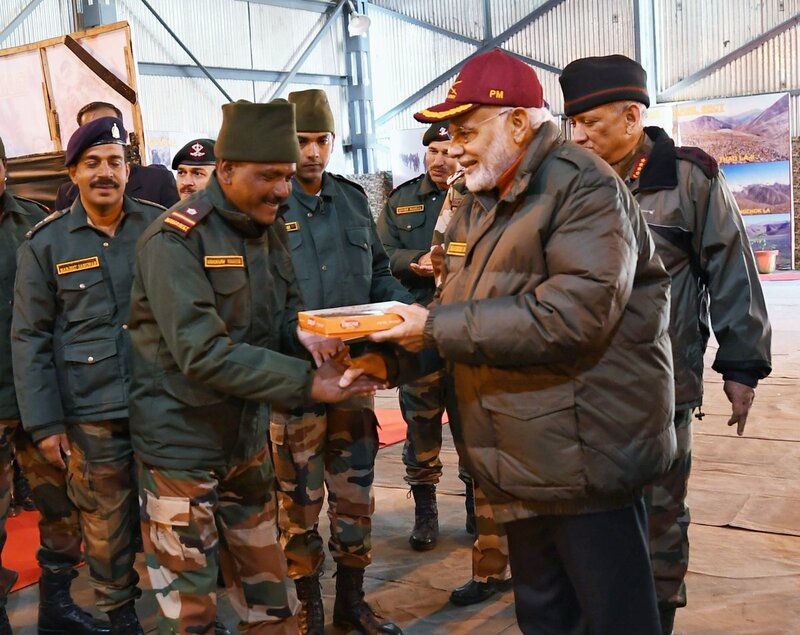 Harsil: On the occasion of Diwali, Prime Minister Narendra Modi on Wednesday celebrated the festival with jawans of the Indian Army and Indo-Tibetan Border Police (ITBP) personnel at Harsil village in Uttarakhand. Greeting the jawans on the occasion, the Prime Minister said that their devotion to duty in the remote icy heights is enhancing the strength of the nation and securing the future and the dreams of 125 crore Indians. He added that Diwali is the festival of lights and spreads the light of goodness and dispels fear. He also noted that the jawans, through their commitment and discipline, are helping to spread a sense of security and fearlessness among the people. 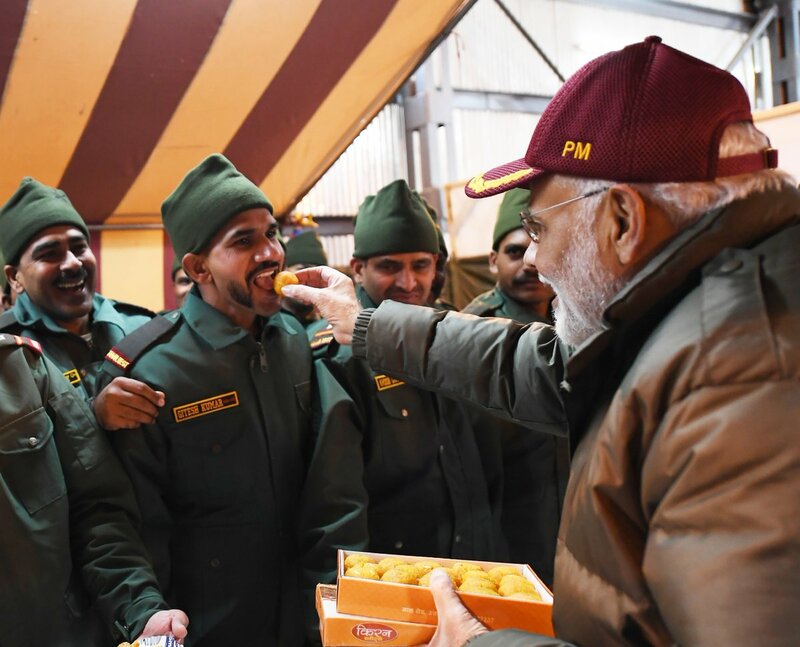 The Prime Minister recalled that he has been visiting soldiers on Diwali ever since he was the Chief Minister of Gujarat. He also spoke of his interactions with the jawans of the ITBP years ago when he was part of the Kailash Mansarovar Yatra. The Prime Minister said India is taking great strides forward in the defence sector. He spoke of various measures being taken for the welfare of ex-servicemen, including One Rank, One Pension (OROP). Prime Minister Modi further said that the Indian Armed Forces draw admiration and appreciation across the world in United Nations peacekeeping operations.